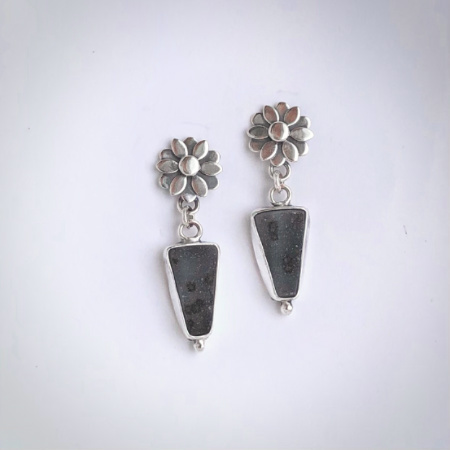 These sterling silver post earrings feature a double domed disc design, and have been given a patina for contrast. These posts go with almost anything and are comfortable to wear. They measure 1/2" in diameter.